Six million people have fled the three small countries that make up Central America's violent Northern Triangle, according to the International Organisation for Migration. PANAMA CITY: Hundreds of thousands of people cross Central America every year hoping to enter the US. They are mostly migrants fleeing violence and poverty in the Northern Triangle - El Salvador, Guatemala and Honduras - and, more recently, from other continents and conflict zones like Syria or Eritrea. Housing only 7.2 per cent of the world's population, the Caribbean, Central America and North America are home to nearly 25 per cent of all migrants in the world and experience unique migratory flows, according to the International Organisation for Migration (IOM). Six million people have fled the three small countries that make up the Northern Triangle. In its latest annual report, Amnesty International describes the Triangle as "one of the most violent places in the world; more people were killed there than in most of the planet's conflict zones ... The daily lives of many people were overshadowed by the activities of criminal gangs." Gang activity "increased along with the arrival of members of gangs expelled from the US and the influence of drug cartels in the region," Amnesty said in its Home sweet Home report. Extreme violence led to more than 15,000 murders in 2016. Homicide rates in El Salvador, Honduras and Guatemala were 108, 64 and 35 deaths per 100,000 inhabitants respectively, according to official data from 2015. In the US, one of the countries with most civilians carrying arms, the index was 4.4 in 2014. The payment of money from extortion, which feeds the 'maras' (gangs), represents 3 per cent of El Salvador's GDP but goes up to 16 per cent if you add what the Salvadoreans spend on security and what they lose in income when violence prevents them from working. Each year, extortion reaches $US390 million (350 million euro) in El Salvador, $US200 million in Honduras and $US61 million in Guatemala, according to figures from the Honduran National Anti-Extortion Force. "Murder, kidnappings, threats, recruitment by non-state armed actors, extortion, sexual violence, and forced disappearance - these are the realities of war and conflicts that people in this region of Central America also have to face," said Bertrand Rossier, Médecins Sans Frontières' head of mission in Mexico, during the release this month of the report Forced to Flee from the Northern Triangle of Central America, a Neglected Humanitarian Crisis. "The unrelenting violence and emotional suffering endured by a significant number of people on the move (from those three countries) is not unlike what is experienced by people in the conflict zones where we have been working for decades," he said. Yet during Barack Obama's final year in the US presidency, Congress granted the Triangle governments $US750 million to curb "irregular" migration. MSF asked for "coordinated action to ensure that people on the move are safe from violence and persecution, are welcomed with international protection rather than with more violence" while crossing Mexico. "Without a doubt, there's a rise in circumstances in Central America that continues to drive people to cross over into our country," says Mario Madrazo, head of Migratory Verification and Control at Mexico's National Institute of Migration. "Most of them are tied to some trafficker." 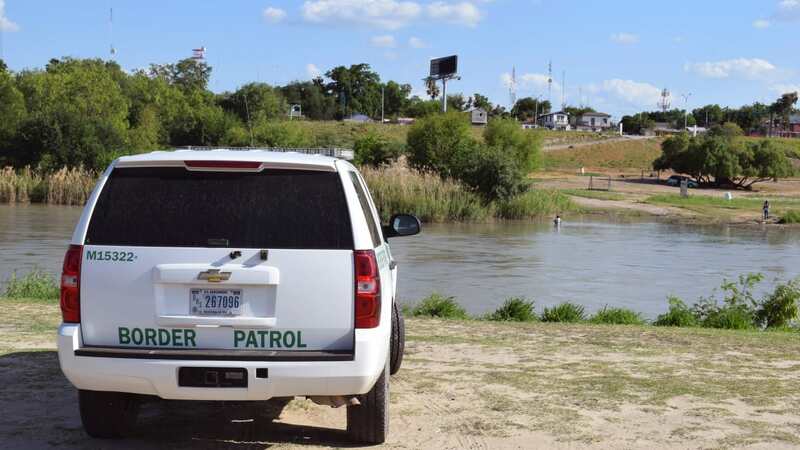 Minors fleeing "maras" to avoid being recruited and whole families in fear of their lives are among the tens of thousands of people that pay traffickers to enter the US through Mexico in a multi-million dollar business that is illegal and violent. In its Armed Conflict Survey 2017, the International Institute for Strategic Studies classified Mexico as the second-most lethal conflict worldwide. With 23,000 intentional homicides in 2016, it was second only to Syria. "It is very rare for criminal violence to reach a level akin to armed conflict. But this has happened in the Northern Triangle" and, "especially, Mexico," according to the IISS. Some data suggests that since 2006, more than 120,000 migrants have disappeared in Mexico on their way to the US and that on these journeys, some 80 per cent of women and girls are raped, according to the essay Tell Me How it Ends by Mexican writer Valeria Luiselli. "Criminal gangs are heavily involved in the smuggling of immigrants across Mexico," says the IOM, which estimates a turnover of $US250 million a year from kidnappings and the extortion of migrants in Mexico. A Salvadorean "coyote" (human trafficker) interviewed by EFE charges each migrant he helps enter the US through Mexico between $US6,000 and $US20,000. The maximum charge includes payment for all "necessary collaborators" and a "guarantee" of up to three attempts to reach the US. 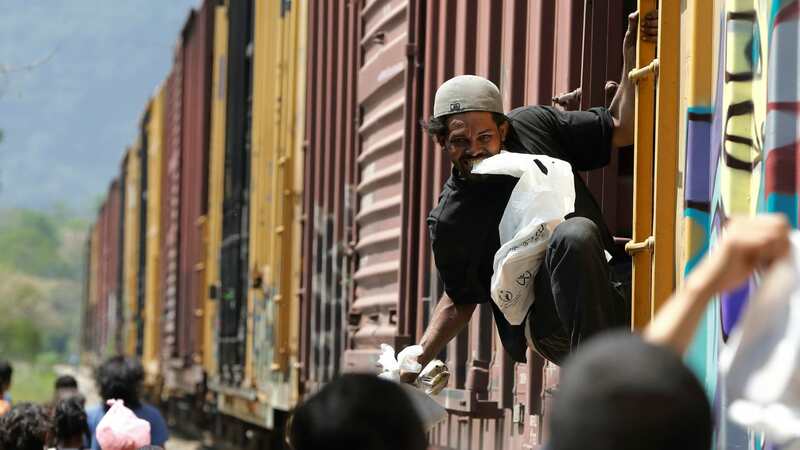 Many of these migrants cross Mexico perched on wagons of freight trains known as La Bestia (The Beast), which they board in southern Tapachula or Tenosique. Of the three main routes crossing Mexico, one arrives in Tijuana, to the west, and faces the wall that US President Donald Trump now wants to extend. Another crosses the desert until it arrives in Nogales, in the centre, and the third one, the shortest and most dangerous, transits areas of organised crime to Reynosa in the east, migrants cross the Rio Bravo, or Rio Grande as the river is known in the US. Migrants must pay for their "protection," sometimes by participating in crimes. "The narcos (drug dealers) have sniffed up a good deal with the movement ... And there are a thousand ways to force a migrant to carry things even if they don't want to. I have seen beatings for this," an ex-coyote from Costa Rica tells EFE. IOM's Missing Migrants Project in 2016 registered more than 700 migrant deaths on the route north - 27 in South America (most on the Colombia-Panama border), 175 in Central America, 105 in the Caribbean and 400 at the US-Mexico border. This border crossing, the deadliest, recorded 6,330 migrant deaths in the last 20 years. Most of the 955 people who reportedly died there between 2014-2016 perished in the sands of the Arizona desert or in the waters of the Rio Bravo. Despite the risks, the migratory flow has continued to grow since 2011. According to the IOM, 40 per cent of all irregular migrants in the US -some 6 million people - were born in Central America or the Caribbean. Their contribution is vital to the livelihood of their countries. The 2.8 million Salvadoreans living in the US in 2016 sent remittances worth 16.4 per cent of the GDP of El Salvador. In Honduras, with 1,200,000 emigrants, the data is about 20 per cent of GDP, ($US4 billion) and in Guatemala, with two million emigrants, the figure is 18 per cent. For the undocumented, the hell of arriving gives way to the anguish of being forced to return. In 2016, the US deported almost 78,500 irregular immigrants to the Northern Triangle, according to official data. The number is greater when it comes to Central Americans deported by Mexico, the gateway to the "American Dream." Last year, Mexico deported 31,325 Salvadoreans, compared to 21,063 sent back by the US. In fact, the number of Salvadoreans, Hondurans and Guatemalans deported by Mexico, which in 2014 implemented the Frontera Sur (Southern Border) immigration containment plan, has risen from 62,788 in 2010 to 141,990 in 2016, according to its National Institute of Migration. Amnesty International, which estimates that 400,000 irregular migrants cross the Mexican territory each year, recorded in its 2016-2017 report an "unprecedented" number of applications for asylum in Mexico last year: 6,898 till October, 93 per cent of which were from the Northern Triangle. Only 2,162 were granted refugee status. Around the world, asylum requests by Salvadoreans, Hondurans and Guatemalans grew 597 per cent between 2010 and 2015, which, according to Amnesty, demonstrated a "very real change in the motives to migrate," which are no longer mostly economic but to escape from violence in lawless societies. Madrazo argues the Frontera Sur plan "isn't about containing the migration flow" but making southeastern Mexico "more prosperous, and under the many actions implemented comes the decision that an immigration order is also required." Under the plan, Mexico installed units across Central America for the free delivery of regional visitors and border workers' cards, valid for one week, and created specialised district attorneys' offices for crimes against immigrants. "The Institute has already brought more than a thousand suspected offenders to these prosecutors and right now we are close to 100 convictions, handed out over the last two years," says Madrazo. The UN refugee agency UNHCR estimates that Mexico will receive 20,000 additional asylum requests in 2017, a figure that is "a clear indication that Mexico is no longer only a transit country but also a destination for refugees." Massive expulsions from the US and Mexico ignored "overwhelming signs that many asylum seekers were at risk of extreme violence if they were not granted asylum. On being sent back, many people returned to the life-threatening situations from which they had fled, " Amnesty reported. Juan, a Honduran man, was forced to flee in 2014 after surviving two gunshots by "maras" who had already killed one of his brothers. Juan reached California, "but there the gringos caught me" and "deported me back to Honduras" in 2015, he recalled. Since then, he has tried to settle in Tapachul, in Chiapas, Mexico, where he already has a wife and a young son, but has been returned to his home country five times. In Honduras, "there are no job opportunities, the gangs harass me ... so I decided it could be better to go to Chiapas again," he told EFE before embarking on yet another journey up north, this time on foot. "I'd rather emigrate than die in my country," he says. Central America and the Caribbean are both source and transit areas for irregular migration. Panama is its gateway, having in 2016 intercepted 25,438 irregular immigrants on its border with Colombia. 10,748 had claimed to be from the Congo, although it is estimated that a majority were Haitians who wanted to avoid deportation, which was unlikely to happen if they were Congolese. Another 7,431 were Cubans, 1,868 Nepalese, 628 Bangladeshis, 600 Senegalese, 519 Ghanaians, and the rest were from countries such as Mali, Guinea, Eritrea, Somalia or Pakistan. The United Nations Office on Drugs and Crime (UNODC) for Central America and the Caribbean, based in Panama, has found that traffic networks are taking migrants from Africa and the Middle East, who enter America through the Southern Cone, through a highly-coordinated network that includes flights on regular airlines and passage through blind border points both at sea and on land. "The tendency is for us to receive more and more migrants with this profile - desperate people who have been refugees and become irregular migrants," Amado Philip de Andres, UNODC's representative in Central America and the Caribbean, tells EFE. According to De Andres, migrant smuggling networks are self-financing with the trafficking of cocaine from South America to Europe. The drug is transported in semi-submersibles, which cost half a million dollars and are manufactured in Colombia. With them it is possible to transport 2.5 tons of cocaine from the Caribbean to Mauritania, from where it is transported through the Sahel and enters Europe through Romania. "You see a lot of abandoned semi-submersibles on the coast of Mauritania," De Andres says. Migrants from the Middle East and Africa are mainly looking to reach the US and Canada. Traffickers charge them about $US17,000 for the "whole package," which includes an authentic passport, though the data is false and obtained through bribery in the Civil Registry of countries like Senegal, as well as plane fare and the means to survive the first two weeks in the country of arrival, usually in the Southern Cone. They also "arrive on regular flights. From Senegal they go to Cape Verde, from there to Fortaleza or Sao Paulo, in Brazil. And who takes these flights? Albanians, Serbs, Syrians, Turks, and some Iraqis. And now Eritreans, Somali people and citizens of West Africa have also started to take them," he says. It is a business that can generate about $US400 million annually, according to UNODC. Those unable to pay the full package can pay the network with "services," leaving them trapped. UNODC anticipates that the flow of extra-continental migrants who want to reach the US will increase. According to De Andres, "it might multiply tenfold over the next two years," which can generate a "buffer effect" in Central America with Trump's border reinforcement. "This issue will have to be a top priority, because it is going to be a time bomb" in the region, the diplomat warns. With Trump's new policies, "what is expected in the next 18 months is a tendency" that migrants who travel or leave Central America "will not be able to go north unless they take the Pacific route by boat." The coordinator of the Honduran Observatory of International Migration, Sally Valladares, tells EFE that the harder it is to cross the border into the US, the "more lucrative" the business of migrant smuggling becomes, "because it means they have to charge more." It will also add to the affected States' expenses, because they will need more resources to protect their borders, along with an added pressure to combat terrorist threats, which requires a "very specific attention to certain nationalities, such as Syrians and Iraqis," she says. For many Cuban doctors, deserting foreign posts is the only road to freedom. The wheels of Mexico’s migrant trains roll on and there’s no shortage of people waiting to board. Trump’s Mexican border crackdown has had an immediate impact on arrivals. The smuggling of migrants through Central America is having a sinister spin-off in the form of sexual slavery and forced labour.